For the sixty third installment in our ongoing interview series here at Dirt Orcas we are very pleased to speak with fellow Iowan, Cullen Powers. You may know him as @overlandiowa. When I first discovered that Cullen was 1) in Des Moines and 2) interested in overland travel (specifically 4runners), I got excited to learn about locals with similar interests. However, I got more excited when I saw what fantastic trips he was taking and the subsequent content he was producing. I highly recommend following Cullen’s overland related account @overlandiowa on Instagram. 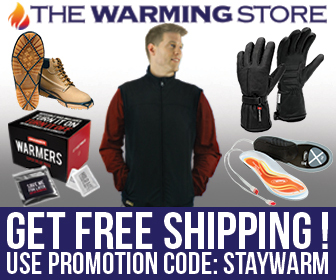 Or if you prefer Facebook, look here. 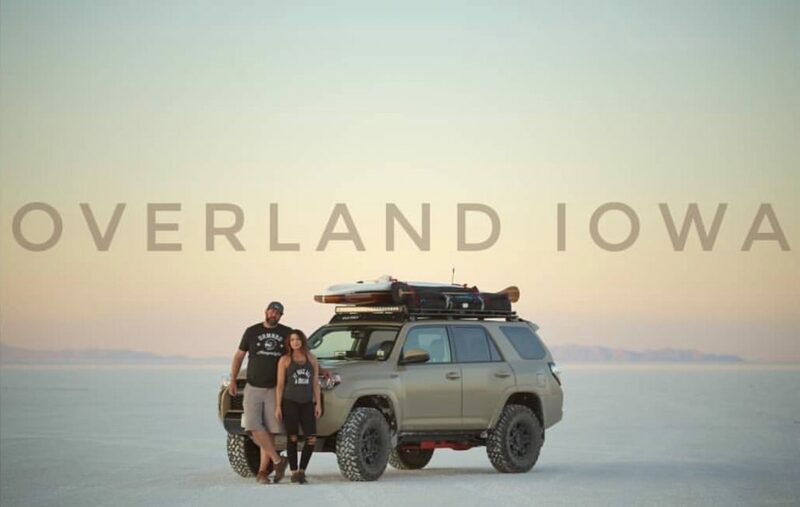 Finally, you can visit his web page, https://www.overlandiowa.com/, to learn more about his upcoming projects and his Toyota 4Runner build. But of course, you should circle back and do all of that after you check out our great interview below. 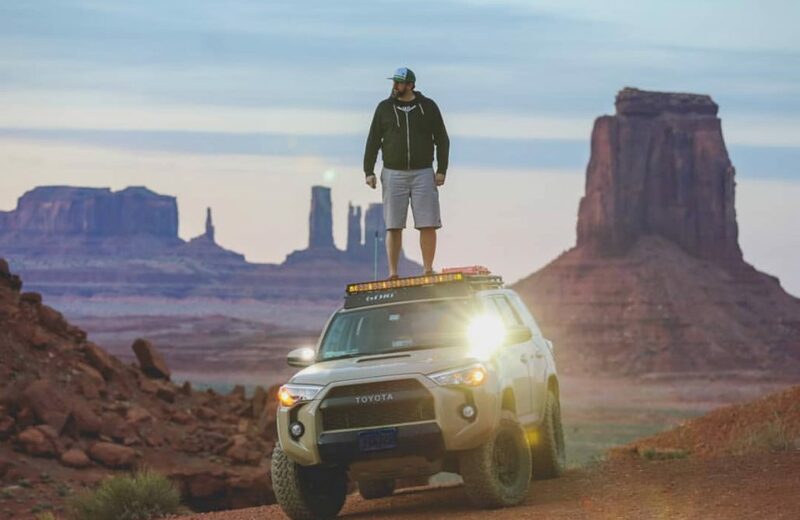 You’ll learn about a nice 4runner build, some fun trips to iconic overlanding spots like Southern Utah, and also about a guy who actively pursues his passions. Cullen is a great reminder that when you are able to find a way to bridge the gap between your work, your passion, and your free time really good things can come of it. What do you consider to be your place of work? I do photography/videography full-time, but with being self-employed I’m given a lot of freedom to incorporate travel with my work as much as possible. Tell me about your vehicle. What do you call it? 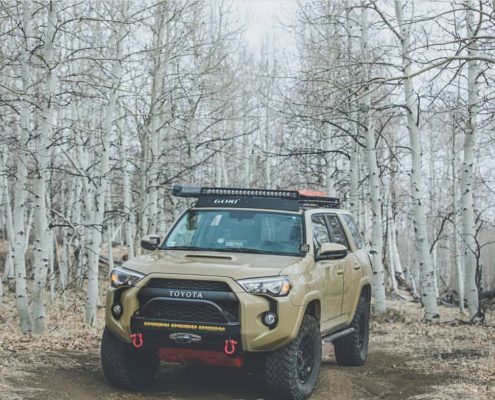 I’m currently running a 2016 Toyota 4Runner TRD Pro. 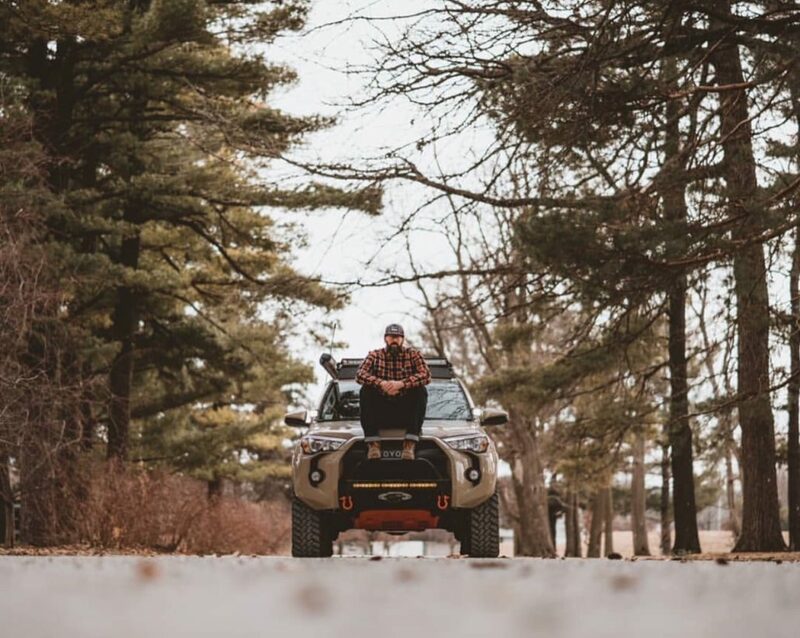 When I got my rig, about a year ago, I had not thought of naming it, but kind of went in a more general “branding” route and created some social media accounts with the name “Overland Iowa” which I’ve stuck with to this point. My license plate says QUIKSND, an ode to the specific color from Toyota for the 2016 Pros. If you haven’t seen it, they took tan and made it WAY cooler, somehow. What other vehicles did you consider and what made you ultimately pull the trigger on the one you bought? It was quite a process really. 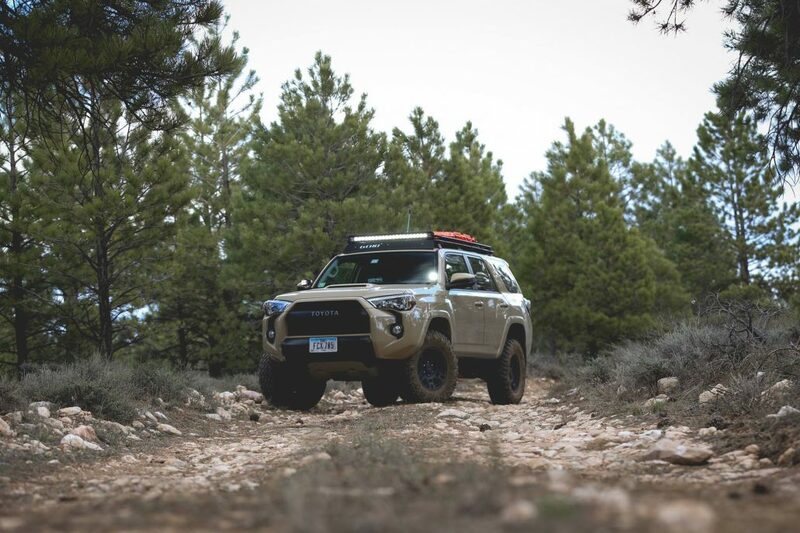 In my travels out west I would often see these TRD Pro 4Runners, but never in Iowa. 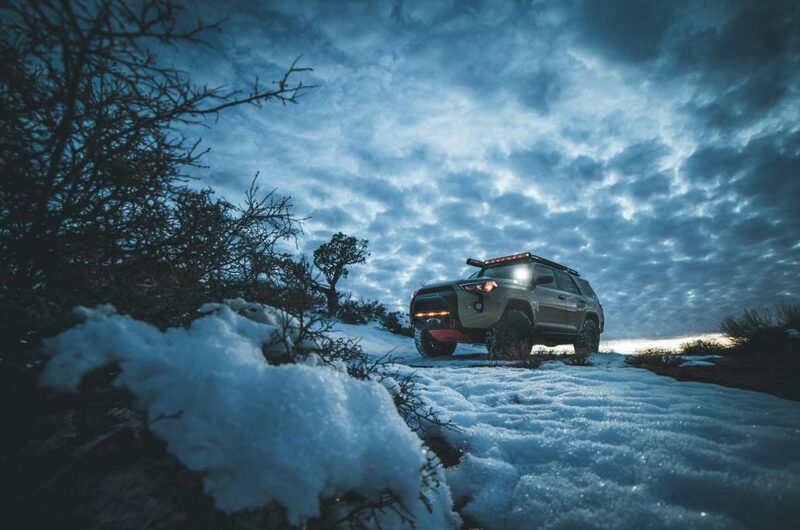 I was driving a Ford Explorer at the time, but needed more off-road capabilities to help reach more remote location, mostly for photography purposes. Anyways, I scoured the internet for Quicksand Pros, but being that they weren’t even a year old and they only produce maybe 1,000 of each color, so it’s quite limited, and was certainly the most sought after color. Dealership in Chicago had one, sold it before I called. A guy in Alabama had one, didn’t respond to any of my emails. 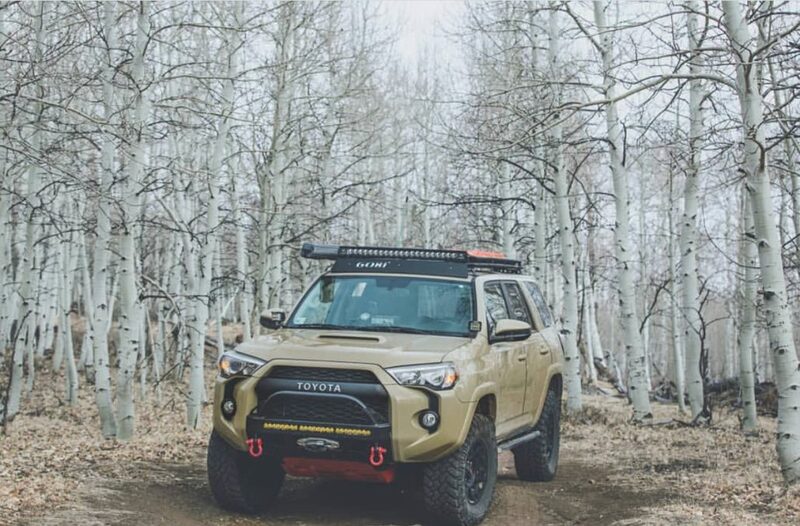 Denver dealer had one, sold it the next day. Someone in Alaska had one, but seem too far to travel to check out a vehicle that I might not buy. Finally I found a guy in Austin selling one at a very reasonable price, with lots of mods already done, seemed to good to be true, but ended up flying down there that week, already had the bank loan, looked it over, took it to the local Toyota dealer for a check and bought it that day. Have you made any upgrades or changes to it? Definitely would direct people to the build page on my website (https://www.overlandiowa.com/build ), far too many to list. My most recent mod was the C4 Fabrications Lo-Pro front bumper with Smittybilt X20 winch and Baja Design S8 lightbar built in. Another question I get every single day is tires/lift/rubbing. 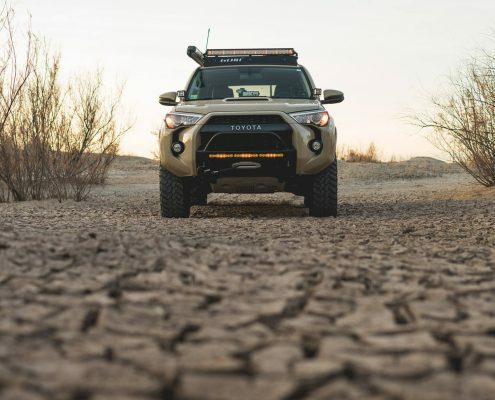 I’m running Nitto Trail Grapplers, 285/70/17 with the 2″ Toytec lift, no body work to the truck, no rubbing. .
What is your favorite part about it living/working out of your vehicle? In as much as I’m 6’8″ tall, I really don’t fit for sleeping inside my rig, though I have had to do on a couple of occasions because there were no other options. I’ve built up a pretty great collection of gear to make myself very comfortable in remote locations for a day or two. Still not totally self-sufficient, no water, fridge, solar power or toilet, but I love the fact that I can turn off the highway anytime I like and have the confidence that even by myself I’ll have to make some pretty bad choices to not be able to handle any situation I get into. What is your least favorite part about it? The fuel mileage that I get. It’s brutal. On most of my long road trips I’m about 12.6 mpg. So much added weight (6,100lbs fully loaded, including myself) and loss of aerodynamics with a loaded roof rack. What is the best place you have taken it? I can’t say there has been one place that really stands above, but every time I drive through southern Utah I’m more blown away by its beauty than before. It’s really a gem of our country and there is nothing better than opening the gate to BLM land, closing it behind you (always), and just heading down an unknown road. I really love the access you have in that state to explore the incredible landscapes. If we’re talking actual roads, I’d have to pick Mogi Dugway in Utah. Unfortunately I was there at night, but it was still amazing. The elevation gain/loss and the switchbacks on a public and well traveled road is pretty wild. 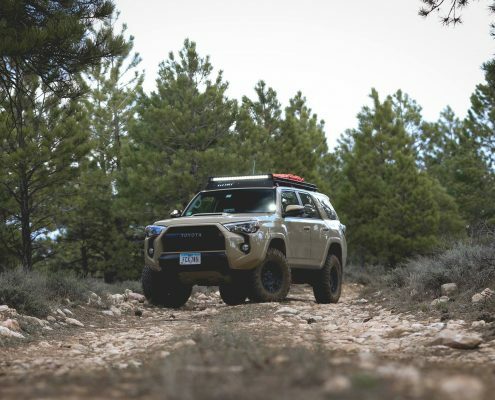 Though, if you’d consider a trail as a road I’d have to say Red Cone Trail in Colorado. It’s a really fun moderate/advanced trail in the Rockies. Some good sized rocks to crawl over as well as the incredible decent from Red Cone Peak. It’s a 30% grade on the biggest drop and you really feel like your back end might just flip right over the top on the steepest part. It’s a rush and has some amazing views. 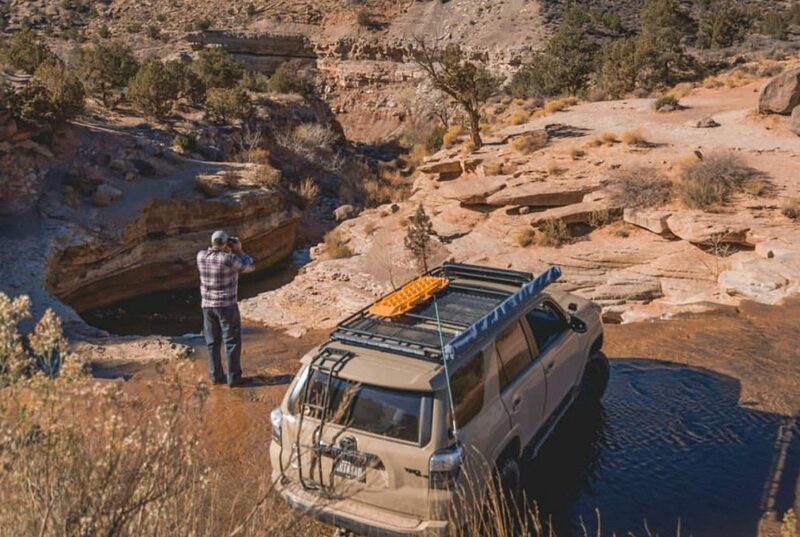 If you could give a person one piece of advice when thinking about living from a vehicle, what would you tell them? Don’t think about it, do it. As with almost everything in life, if you overthink it and wait for JUST the right time, you’ll never find that time. Building you vehicle, acquiring gear is a long, expensive process. Don’t expect to do it overnight and don’t try and keep up with the guys you see on Instagram. Do what you can, what you can afford and just enjoy the process. It takes a special kind of person to recognize that the journey, not the destination, is the point of life. Travelers know this. Was there a point in your life where you became conscious that you were one of those people? I think I thought I understood it in college, but the reality of adulthood hit soon after leaving college and it took 5 – 7 years of working as a union carpenter, delivering drywall and managing commercial construction projects for me to seek out a more expressive and creative life for myself. It didn’t happen overnight, but now I wake up excited for the day ahead of me, excited for my next project or shoot and excited to create content that spread to hundreds or hundreds of thousands of people around the world. Each day is part of the journey. You have found a strong place in the community of travelers. What values do you think your home or family instilled in you, that you take on the road? Growing up I remember all of our family trips being road trips. 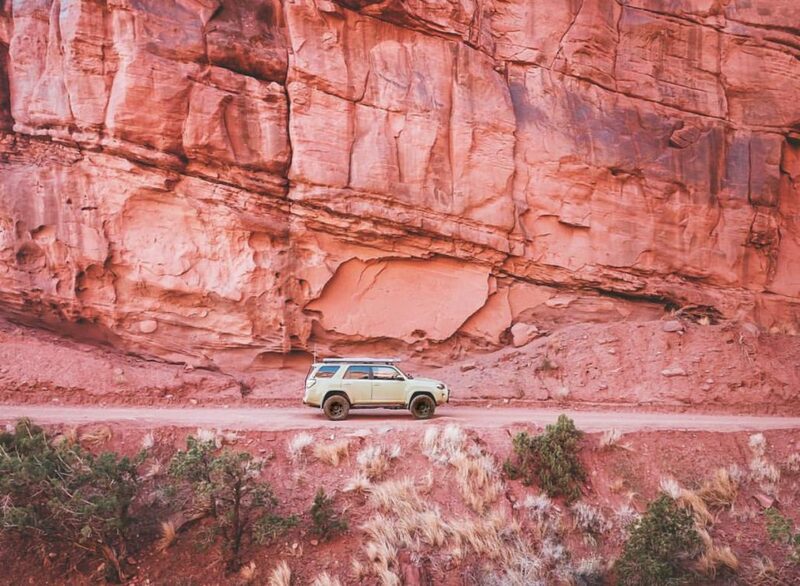 Just like now, driving places is so much more rewarding travel than flying. You miss SO much when you fly, I can’t stress that enough to people. I know how valuable time is to people, but the few extra travel days is a small price to pay for the memories you’ll create. All the great trips of my childhood were in the car. I admire your outside the box approach to career and home. Do you see yourselves as people who took a leap of faith to live in an unconventional way or do you think it kind of just happened? I’m certainly not to the level of someone living in a Sprinter for weeks at a time, but the amount of miles I drive and states I visit is far above the national average and I wouldn’t change it for a thing. 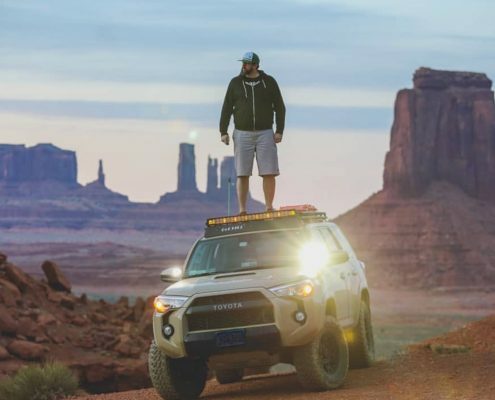 The biggest jump I took with this adventure was purchasing my 4Runner. I have a vehicle that is unnecessarily off-road capable for a guy living in Des Moines, Iowa. I bought it for the 5% of the time that a stock SUV just wouldn’t cut it. 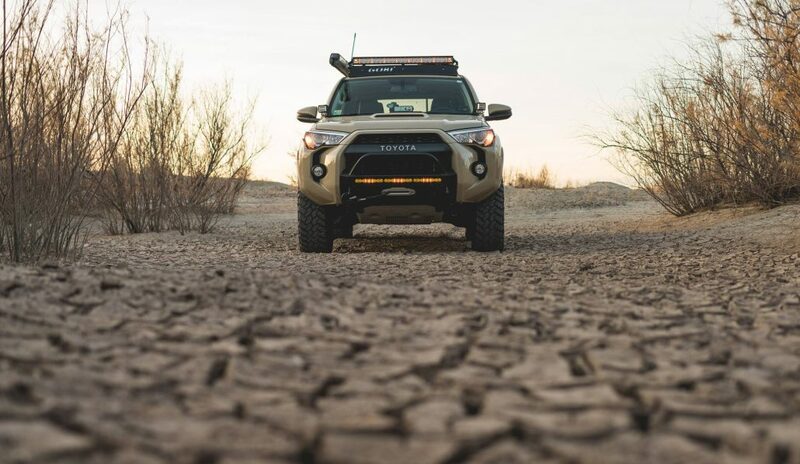 Without my rig I’d still be driving highways and dirt roads, instead of rocky trails with uneven shelf roads, 12″ boulders and water crossings up to the wheel well. 2018 goal is to plan a 2019 drive to Alaska. Hoping to get a couple of other rigs and have a small convoy. For work my biggest goal is to grow Overland Iowa as a brand and maybe into more. 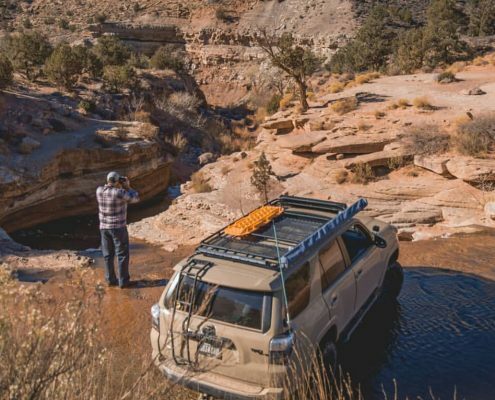 As somebody new to offroading/overlanding I’m always learning things and think I could be a good source of knowledge for other who are just beginning, especially mid-westerners, who typically have extensive experience with camping, but not as much with trails. 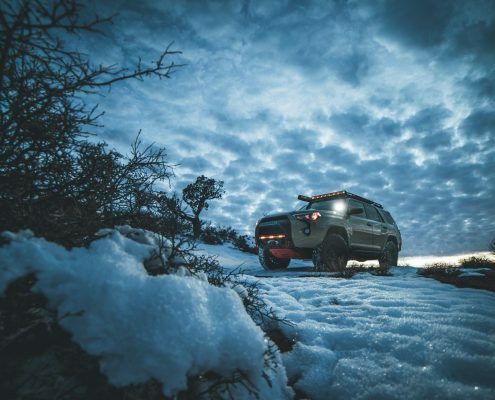 My photography and videography will be a big part of this and hopefully I can start booking more work within the off-roading community and even more opportunities to travel and live out my dreams.